Congratulations to Prof. Doug Jackson, this year's recipient of the ARCH Department Faculty Merit Award! Prof. Jackson was selected by ARCH faculty and students for her outstanding meritorious achievement. 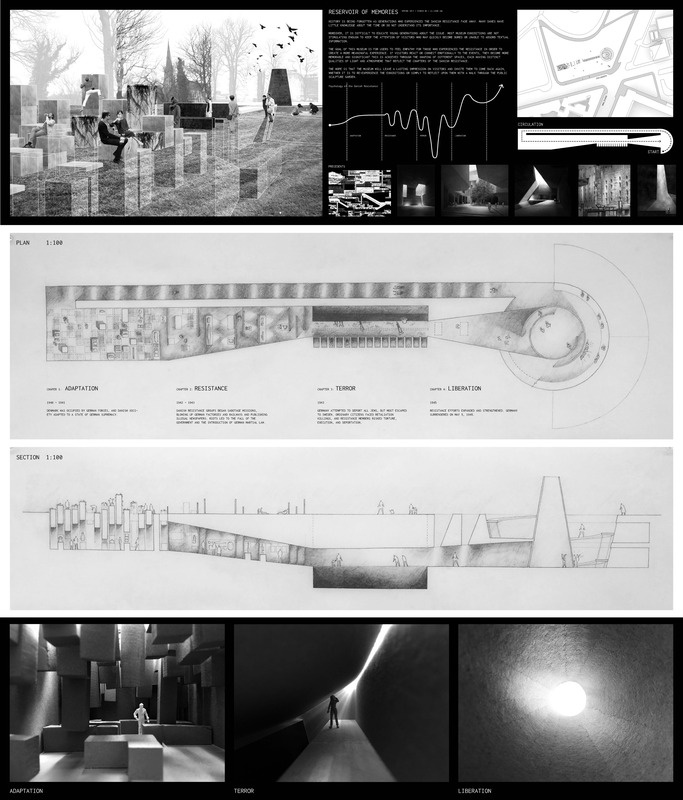 For more on the ARCH Faculty Merit award see architecture.calpoly.edu/faculty/administration/faculty-merit-award. Design work from the Housing Northwest Arkansas Initiative is on display in the European Cultural Centre at the Palazzo Mora for the 2018 Biennale Architettura in Venice, Italy. …The six-month Venice Biennale, which happens every two years, takes place in various venues in Venice. 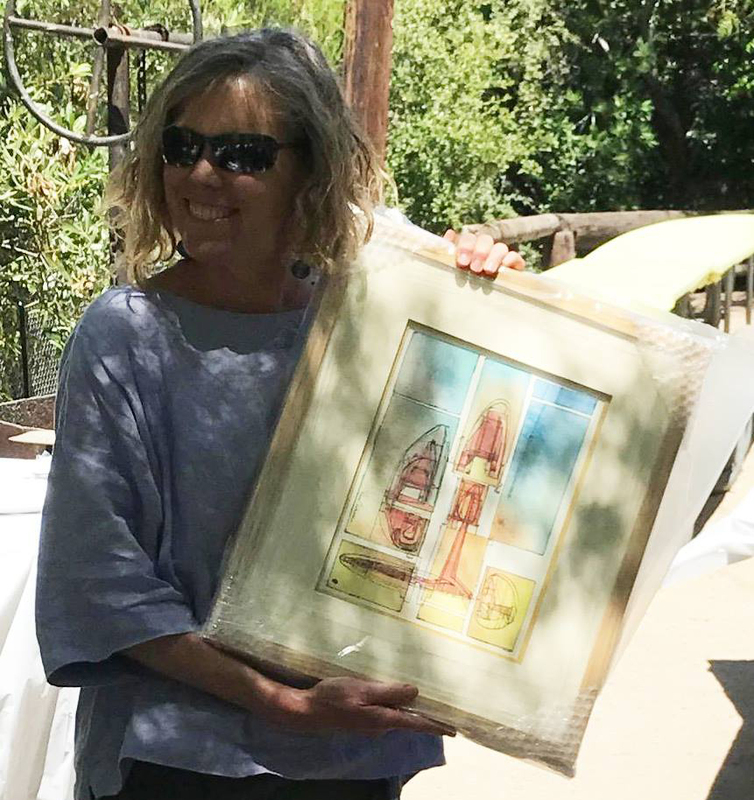 The 16th International Architecture Exhibition, titled "Freespace" and curated by Yvonne Farrell and Shelley McNamara, opened to the public May 26 and continues through Nov. 25. …The advanced design studio for architecture and interior design students was led by two visiting instructors, Fougeron and Kent Macdonald, RA, lecturer at California Polytechnic State University in San Luis Obispo, California. They collaborated with two Fay Jones School faculty members, Carl Matthews, interior design department head and professor, and Alison Turner, AIA, clinical assistant professor and director of community education. The full press release is at news.uark.edu/articles/42078/housing-northwest-arkansas-designs-displayed-at-international-architecture-exhibition. Cal Poly faculty member and architect Andrew Goodwin has been recognized for making significant humanitarian contributions to society by the American Institute of Architects, California Council. Goodwin, who teaches architecture in the College of Architecture and Environmental Design (CAED) and owns the San Luis Obispo-based design consultancy firm Andrew Goodwin Designs, was named a 2017 recipient of the Norma Sklarek Award. Goodwin will be honored Feb. 5 at Cal Poly by Paul Welch, former executive vice president of the California Council. The AIACC Board of Directors confers the award on an architect in recognition of his or her social responsibility. The program was started in 2014 in honor of the late Norma Sklarek, who in 1954 became the first African American woman to earn an architecture license. Through his pro-bono work, his firm and his contributions to curriculum, Goodwin continues to be an advocate for awareness and social change, the organization stated in announcing the award. The full press release is at calpolynews.calpoly.edu/news_releases/2017/January/Goodwin. “Those interested in an interdisciplinary approach to architecture will want to explore, the Department of Architecture at California Polytechnic State University. It is one of five departments in the College of Architecture and Environmental Design (CAED). The undergraduate program is driven by the concept of “learn-by-doing” and in includes rigorous coursework that is lab-oriented. It also strives to balance and integrate design and technology. Student may study off campus in the fourth year and the fifth is devoted to a year-long project. In the Master’s program, students can choose to focus on Innovating Material Practice or Sustainable Architecture. The material practice specialization involves design integration through innovations in materials and material assemblies enabled by contemporary modes of digital fabrication. Cal Poly also offers the option of pursing an MBA, Architectural Management Track in combination with a bachelor’s degree, or a Master of City and regional Planning (MCRP) combination.” See the full article at www.homedit.com/best-architecture-schools. 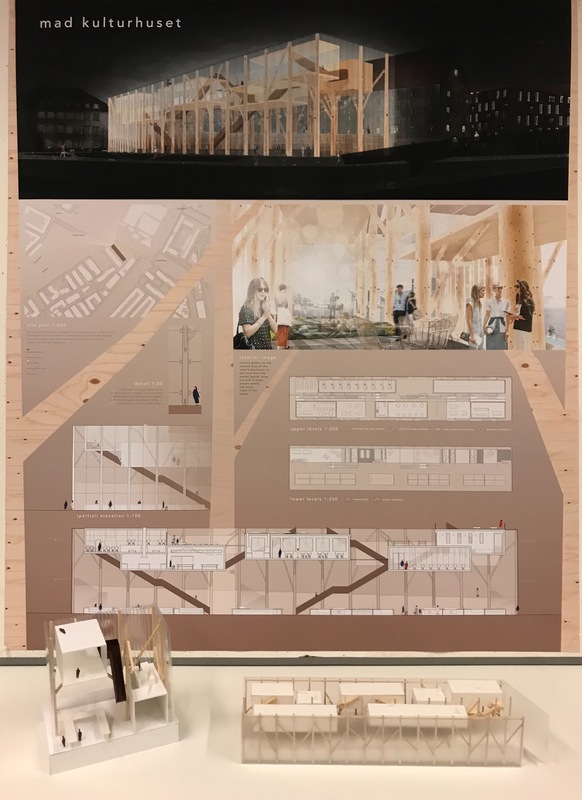 Each semester DIS Copenhagen recognizes one outstanding student in each discipline (architecture, urban design, and graphic design) with a Design Excellence Award. The award is given to a student who has distinguished himself/herself through diligence, commitment, academic performance, and ideally a student who contributes to a positive, collaborative learning environment in class. The Fall 2017 award for architecture was presented to Maya Nunes for her work titled “House of Foods.” Her studio instructor was Rune Veile. INhouse receives Merit Award for "Green Home"
INhouse was honored with a Merit Award in the "green homes" category, awarded by the local USGBC-CCGBC (Central Coast Green Building Council). The award was accepted by ARCH Prof. Sandy Stannard on behalf of the Solar Decathlon team. Background information about the awards and the jury can be found at www.usgbcc4.org/greenawards17. Good news! 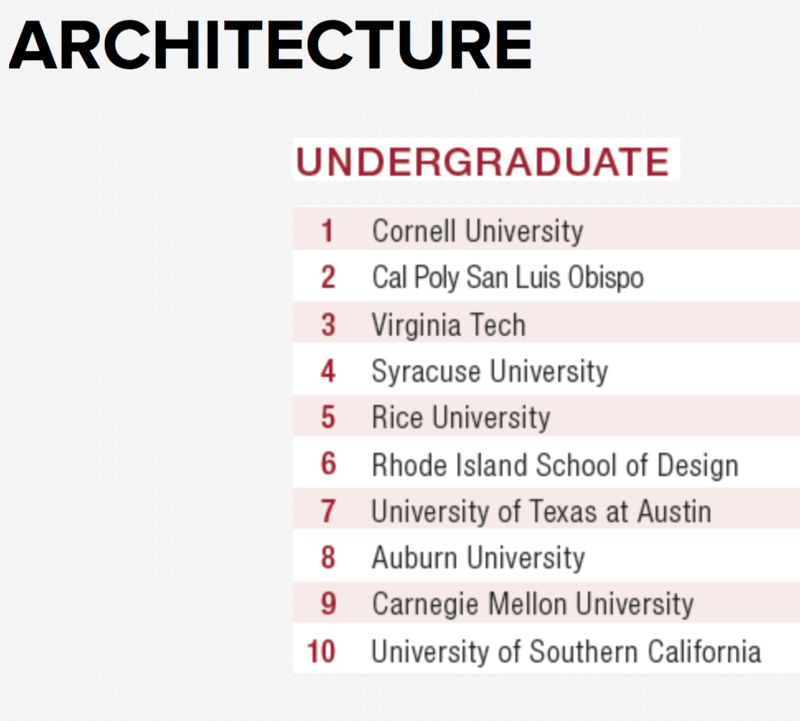 Cal Poly Architecture is holding strong in the #2 position for B.Arch. programs in America and #1 in Sustainability! Check out the details a www.architecturalrecord.com/articles/12966-top-architecture-schools-of-2018. Each semester DIS Copenhagen recognizes one outstanding student in each discipline (architecture, interior architecture, furniture design, urban design, and graphic design) with a Design Excellence Award. For Spring 2017, CP ARCH student Allison Lee has been honored for her work in architecture design studio! The award is given to a student who has distinguished himself/herself through diligence, commitment, academic performance, and ideally a student who contributes to a positive, collaborative learning environment in class. During the semester Allison and her studio friends have been working on two assignments under the guidance of DIS Faculty Bo Christiansen. The first one titled “Pop-up Reflection Space – Strøget”, and the second titled: “New Museum for Danish Resistance, 1940-1945”. Architecture students Kristen Fauske and Megan Hanck - in collaboration with a Materials Engineering Anna Laird - won first place at the 2017 Biomimicry Institute Student Design Challenge! Their project - Extraction - identified overarching patterns among the researched biological strategies which inspired them to design a panel system that can be applied on multiple scales to buildings and other existing infrastructure along freeways and main streets. To see the full description and images, visit challenge.biomimicry.org/en/custom/gallery/view/15804. 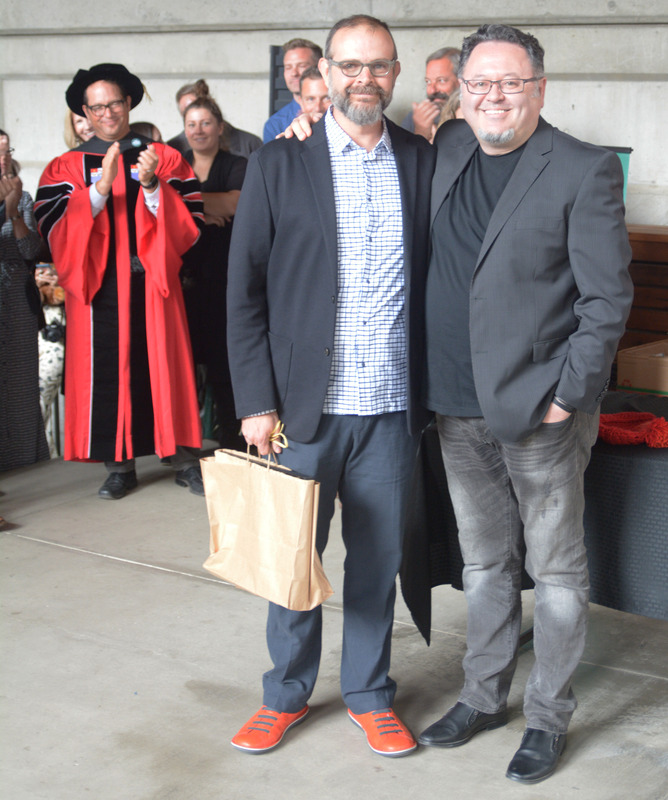 Congratulations to Prof. Sandy Stannard, this year's recipient of the ARCH Department Faculty Merit Award! Prof. Stannard was selected by ARCH faculty and students for her outstanding meritorious achievement. Cal Poly ARCH Student Finishes in the Top 10 for the AIA COTE Design Competition! Fifth-year student Karin Bjorkman just won an AIA Committee on the Environment (COTE) student award! This prestigious competition challenges students to submit projects that use a thoroughly integrated approach to architecture, natural systems, and technology to provide architectural solutions that protect and enhance the environment. 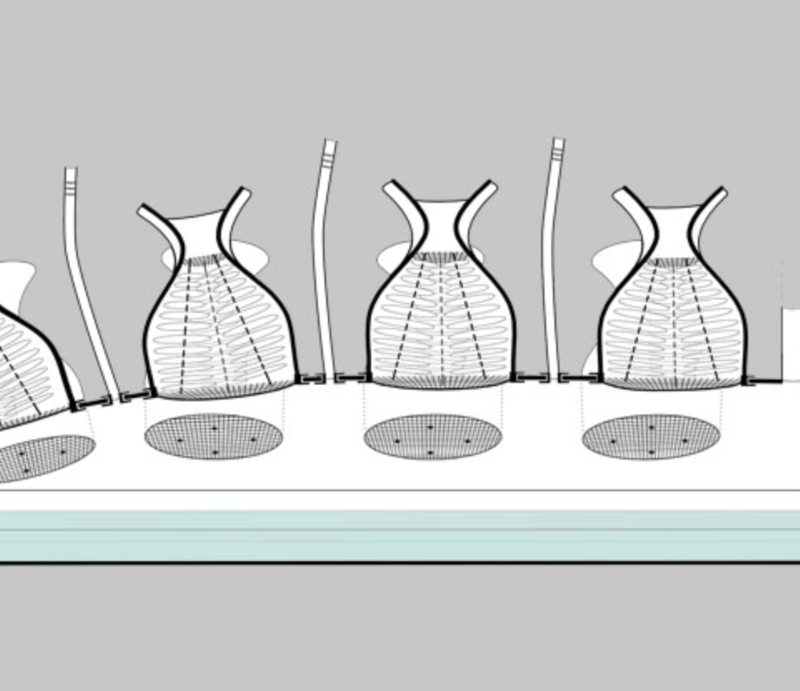 Out of the numerous submissions, Karin was one of the top designs that demonstrated exceptional and seamless integration of innovative, regenerative strategies within their broader design concepts. You can see this student's full project at www.acsa-arch.org/programs-events/competitions/competition-archives/2016-2017-cote-top-ten-for-students/2016-2017-cote-top-ten-for-students-winners/a-residential-school-in-andhra-pradesh. for Event With Walt Disney Imagineers! Two architecture students were among 60 students and alumni finalists from around the world selected for a new honor by the American Institute of Architecture Students (AIAS). Second-year student Liam Hanlon and third-year student Sharon Turek were chosen to participate in a three-day opportunity to engage with Walt Disney Imagineers from May 19-21 in Orlando, Florida. AIAS Imagine: Top 60-at-60 seeks to bring together the top AIAS students in all years of architecture school, including fifth year, graduate students and alumni members in celebration of the organization's 60th anniversary. 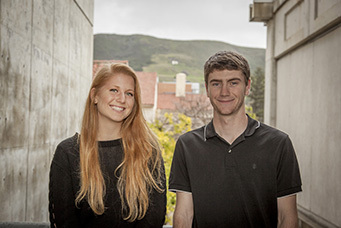 Hanlon is president of the Cal Poly AIAS and Turek is vice president. AIAS and Walt Disney Imagineering will co-host a weekend of design process exploration. Honorees will be able to participate in a series of lectures, workshops and tours that highlights Walt Disney Imagineering’s approach to design. "I hope to gain insight into the process Disney Imagineering takes for design and utilize the wonderment they create into my own future work," Turek said. Hanlon added that he would like to see "the process of how Disney translates their stories into experiences." Read the full press release at www.aias.org/aias-announces-aias-imagine-finalists. 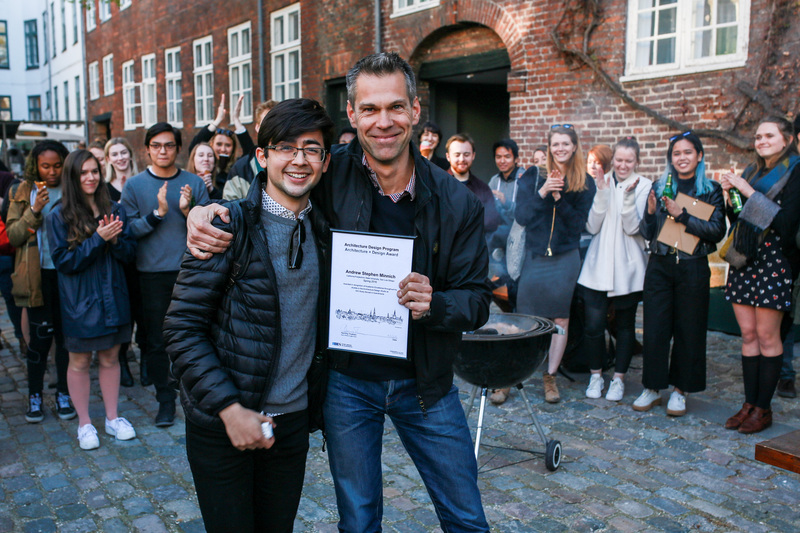 Each semester DIS Copenhagen recognizes one outstanding student in each discipline (architecture, interior architecture, furniture design, urban design, and graphic design) with a Design Excellence Award. For Fall 2016, CP ARCH student Phillip Huston Harris has been honored for his work in architecture design studio! During the semester Phillip and his studio friends have been working on two assignments under the guidance of DIS Faculty Eva Frederiksen. The first one titled “New Harbor Bath”, and the second titled: “A building for health, movement, and activity”. Good news! Cal Poly Architecture is holding strong in the #2 position for B.Arch. programs in America and #1 in Sustainability and Construction Methods and Materials! Check out the details at www.architecturalrecord.com/articles/11865-americas-top-architecture-schools-2017. We are very pleased to announce that Edern Audrain has won 2nd place in the international 2015-16 ACSA/AISC Steel Design competition Open Category. There were 115 entries in the "open" category! Edern Audrain was one of 3 French students studying with Professor Jonathan Reich at Cal Poly this past year in an exchange with L'Ecole d'Architecture de Paris-Val-de-Seine. 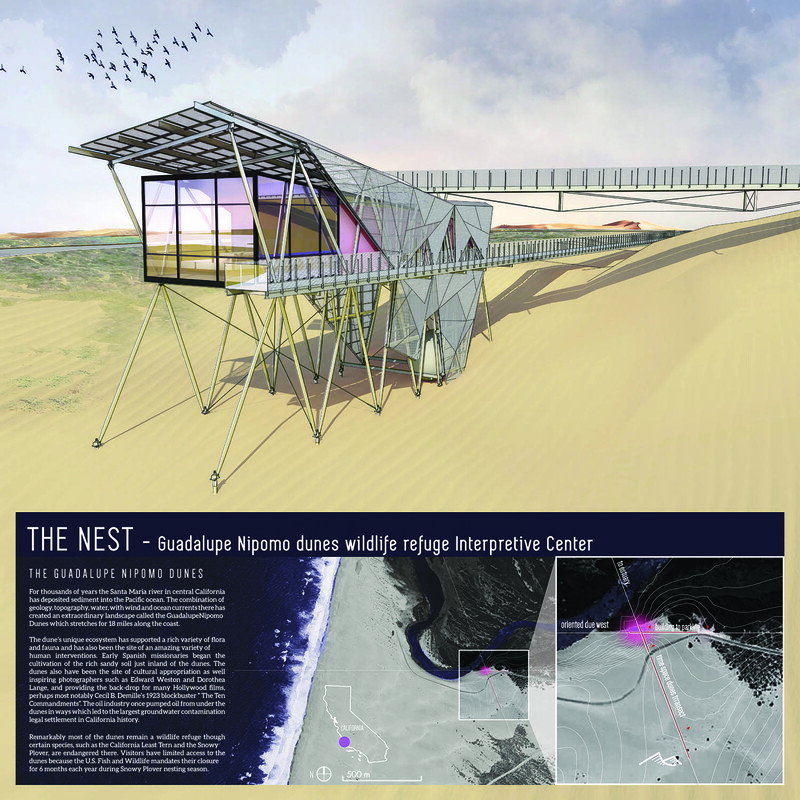 The project was an eight week Spring Quarter design for an interpretive center at the Guadalupe Nipomo Dunes. The studio visited the dunes area and prepared research on its history, geomorphology, climate, flora and fauna. Professor Tom Fowler's student Xiaoyin Xie also won an honorable mention in the same category. Check out all the winners at www.acsa-arch.org/programs-events/competitions/competition-archives/2015-2016-steel-competition/2015-16-steel-winners. Each year, Cal Poly bids adieu to thousands of graduates who are ready to tackle the world’s problems with innovation, technical savvy and roll-up-their-sleeves-and-get-to-it moxie. Each of this year’s roughly 4,200 graduates has a unique story of success and perseverance along with thoughts on how their university experience has shaped them as they ready to make their way in the world — plunging into careers or continuing on with graduate studies. This year, Eusebio Santana, 32, will receive one of 311 degrees to be issued by the College of Architecture and Environmental Design. The Calexico, CA, resident’s goal is to obtain an architect’s license and eventually teach at a community college. Born in Los Angeles and raised in Mexico, Santana transferred to Cal Poly based on the reputation of the College of Architecture and Environmental Design as one of the best schools in the nation. He was assisted by Cal Poly’s Educational Opportunity Program, which serves students from low-income, first-generation and educationally disadvantaged backgrounds. He overcame language barriers — Santana mostly spoke Spanish prior to enrolling — and is continuing a life-threatening battle with stage four cancer. “When I was first told that I had thyroid cancer in December of 2014, I was devastated,” he said. “Dealing with school, my cancer and life has not been an easy thing to do. Cancer is not only a physical condition but also a psychological one. Sarah Elizabeth Clark, Santana’s EOP advisor, said he has been an inspiration. Cal Poly Architecture Student Andrew Minnich wins DIS Design Excellence Award! Cal Poly Architecture student Andrew Stephen Minnich has received the Design Excellence Award for his work at the DIS Copenhagen Architecture Design studio. Each semester DIS recognizes one outstanding student in each discipline (architecture, interior architecture, urban design, and graphic design) with a Design Excellence Award. The award is given to a student who has distinguished himself/herself through diligence, commitment, academic performance, and ideally a student who contributes to a positive, collaborative learning environment in class. During the semester Andrew and his studio friends have been working on two assignments under the guidance of DIS Faculty Bo Christiansen. The first one titled “Microclimatic Shelter: a Place for Hygge”, and the second titled: “Ørestad Chapel: a Place of Silence”. Cal Poly Bank of America Team takes First Place! 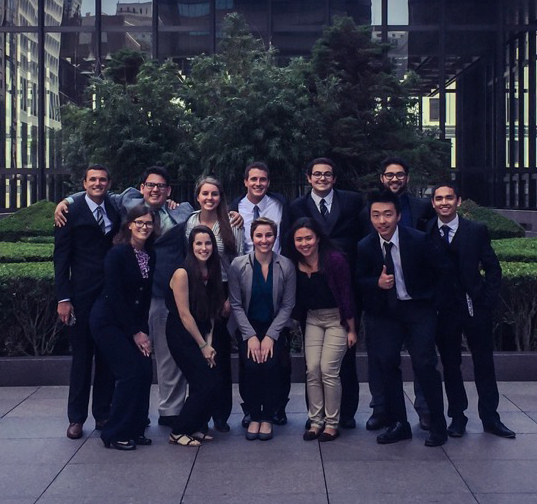 Cal Poly’s Sanctuary 6 team earned first place in the Bank of America Merrill Lynch Low-Income Housing Challenge. The interdisciplinary team included students from architecture, business economics, business finance, city and regional planning and construction management. The challenge is a team “business plan” competition designed to inform, educate, and attract the next generation of affordable housing professionals. Other finalists included UC Berkeley,whose team tied for first place, UCLA, University of Washington and the University of Arizona. Cal Poly team members include architecture students Annelise Barbieri (Stockton, Calif.), Amy Rutty (Folsom, Calif.), Chloe Eitzer (Bethany, Conn.), Chris McCoy (Galt, Calif.), Jordan Keiser (Muskego, Wis.), Mengdi Zhang (San Luis Obispo, Calif.) and Rodrigo Robles-Gonzalez (San Jose, CA); city and regional planning students Justin Frentzel (Pittsburg, Calif.), and Emily Foley (Santa Clara, Calif.), construction management major Charlie Andrews (San Diego, Calif.); economics major, Nathan Roberts (Orange, Calif) and finance major Andrew Fortner (Los Osos, Calif.). The faculty advisors were Pratish Patel from the Orfala College of Business and Bryan Shields from the College of Architecture and Environmental Design. Sanctuary 6 is a low-income housing project specifically designed for veterans. Dozens of veterans and veterans’ service professionals gave direct feedback on what they wanted to see in the complex. The project combined innovative architectural and planning practices, groundbreaking construction methodology, and novel financing techniques. The name comes from the military adage of “got your six” or standing back to back with someone to provide defense and support. The design engages six key pillars specific to the veteran community: Veteran, Independence, Support, Camaraderie, Connectivity and Sustainability. The Sanctuary 6 Project has been a community endeavor from Day One. The team partnered with more than 17 community groups including People’s Self Help Housing, the Community Action Partnership of San Luis Obispo and Supportive Services for Veteran Families. For twenty-five years, the Bank has challenged undergraduate and graduate students to envision new and innovative models of housing for low-to-moderate income residents. A jury of affordable housing professionals with development, finance, planning, architecture, and government expertise judge each proposal. Projects are judged in four categories: Project Finance, Project Design, Community Impact and Support, and X Factor, which includes innovativeness, creativity and feasibility. The university joins the National Resilience Initiative for ongoing research and projects. California Polytechnic State University in San Luis Obispo is one of the newest members of the National Resilience Initiative (NRI), a nationwide network of resilient design studios under the umbrella of the American Institute of Architects Foundation. Cal Poly faculty members Margot McDonald, AIA, professor and head of the architectural department, and William Siembieda, professor of city and regional planning, are leading the curriculum and resiliency initiatives that can hopefully be implemented to create a national impact. CLICK HERE to read the full interview article. Cal Poly’s College of Architecture and Environmental Design (CAED) will aid in a national effort to make our cities safer and more resilient. Cal Poly is one of three new universities selected by the American Institute of Architects Foundation (AIAF), the American Institute of Architects (AIA) and the Association of Collegiate Schools of Architecture (ACSA) to join the National Resilience Initiative (NRI). The NRI is a network of community and university-based design studios dedicated to helping communities become better prepared for natural disasters and climate change. The CAED joins the University of Minnesota Center for Sustainable Building Research, Hampton University in Virginia, the New Jersey Institute of Technology Center for Resilient Design, the Mississippi State University Community Design Studio and the University of Arkansas Community Design Center. For more than a decade the CAED has engaged and promoted resilient design activities, through curriculum, studios, projects, internships and research. The nationally recognized Environmental Design Studies sequence, Sustainable Environments Minor and the Integrated Project Delivery (IPD) studios introduce students to the linkage between eco-systems and the built environment. This award will significantly expand the work currently being done by the college’s dedicated research center, the Resilient Communities Research Institute (RCRI) as well as foster partnerships with industry leaders with a mission to advance city resiliency. “As the NRI’s Western U.S. network partner, our resilience efforts will serve as national models recognized for their educational quality and community impact,” said College of Architecture and Environmental Design Dean Christine Theodoropoulos. The National Resilience Initiative was established in 2013 as a joint program of the AIA and the Architects Foundation with partners that include the Rockefeller Foundation’s 100 Resilient Cities, the Clinton Global Initiative, the Association for Collegiate Schools of Architecture, and Public Architecture. 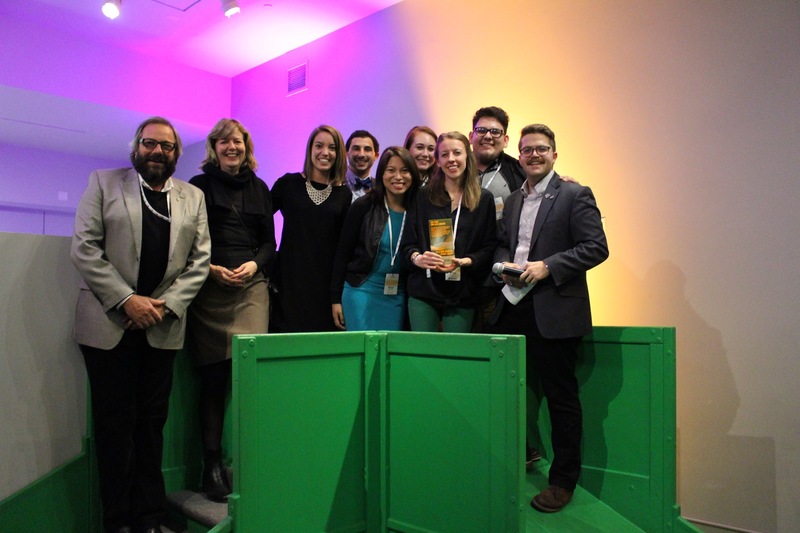 The first annual convening of all six NRI charter members will take place this summer in Washington, D.C.
Cal Poly received the American Institute of Architecture Students (AIAS) Chapter Honor Award at the AIAS Forum, the largest gathering of architecture students in the world. The Honor Awards recognize outstanding achievements made by students, educators and practitioners who have exhibited an exemplary commitment to the education and development of architecture students. Cal Poly was chosen for the Chapter Honor Award because of its consistent growth and stability while providing outstanding education and professional programs to its members. For more information about AIAS Honor Awards, visit www.aias.org/membership/honor-awards. The American Institute of Architecture Students (AIAS) is an independent, nonprofit organization dedicated to linking students to diverse academic, social and creative design opportunities designed to transform today’s student into the architect and design professional of tomorrow. AIAS honors individuals and groups for exemplary leadership, collaboration, scholarship and service. Cal Poly’s Center for Innovation and Entrepreneurship (CIE) has named three professors to its Faculty Fellows program. Graphic communication Professor Charmaine Farber, computer science Professor David Janzen, and architecture professor Clare Olsen join the multidisciplinary cohort in preparing students to become emerging entrepreneurial leaders. The CIE has faculty fellows within each of Cal Poly’s six academic colleges. These educators incorporate innovation and entrepreneurship into coursework, serve as CIE ambassadors within their discipline, and help guide motivated students through the different entrepreneurial career paths. This year’s fellows were selected from a pool of 16 applicants based on specific plans to introduce innovative measures into the classroom. 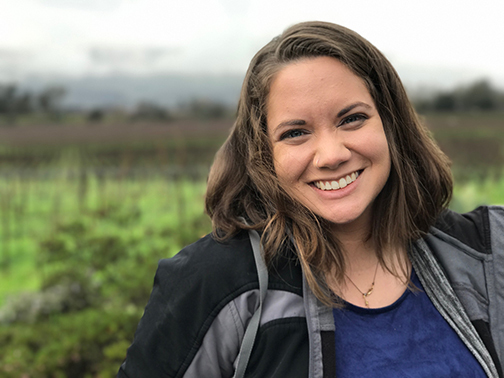 Clare Olsen will spearhead the development of a major and a set of co-curricular courses on sustainable product design at Cal Poly. 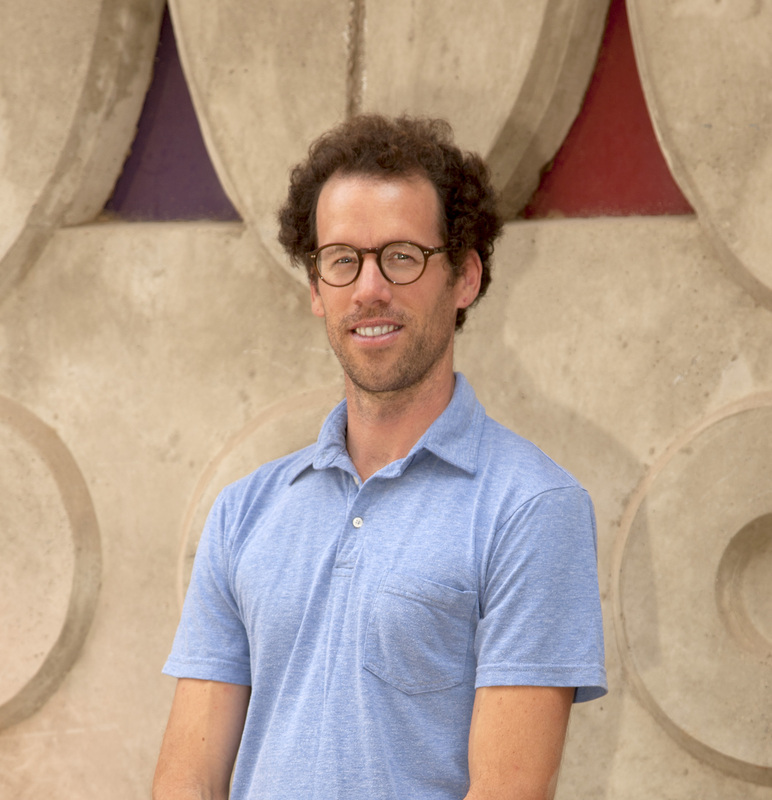 After teaching at Tulane, Cornell and Syracuse universities, Olsen now focuses on design, materials and digital technology in Cal Poly’s College of Architecture and Environmental Design. She has written extensively on interdisciplinary collaborations between architecture and disciplines such as engineering. The 2015-16 class of CIE Faculty Fellows joins fellows Enrica Lovaglio Costello, art and design; Bob Crockett, biomedical engineering; Dale Dolan, electrical engineering; Lorraine Donegan, graphic communication; Mary Glick, journalism; Brian Granger, physics; Lynn Metcalf, marketing; Umut Toker, architecture; and Christiane Schroeter, agribusiness. For more on each of the CIE Fellows visit cie.calpoly.edu/learn/cie-fellows. Article written by Cal Poly Center for Innovation and Entrepreneurship. Cal Poly’s bachelor of architecture program was ranked No. 2 in the 2016 DesignIntelligence ranking of the country’s 34 best public and private architecture and design schools. Among public universities, Cal Poly’s program was rated No. 1 in the U.S. Noted for its high-quality program, Cal Poly’s bachelor of architecture program placed in the top 10 in eight of nine skill sets. Cal Poly was deemed strongest nationally in two categories: construction methods and materials and sustainable design practices and principles. Additionally, the bachelor of architecture program earned second place in cross-disciplinary teamwork and fourth in computer applications. In addition to program rankings, the DesignIntelligence annual report honors excellence in education and educational administration by naming 25 exemplary professionals in these fields. This year, two Cal Poly faculty members were recognized with this honor. The ranking results are published in the 2016 edition of “America’s Best Architecture & Design Schools” and are based on a survey conducted by DesignIntelligence on behalf of the Design Futures Council. Data was gathered from more than 1,400 professional practices that hire recent graduates. For more information, go to www.di.net. Cal Poly College of Architecture and Environmental Design students swept the top two categories of the 2014-2015 ACSA/AISC Steel Design Student Competition. Students Natacha Schnider, ARCH and Stephen “Chip” Hubert, ARCH won first place in Category I – LIBRARY, with their entry REBOUND, which embodies the dynamics of new and old forms of media. Caroline Angell, ARCH garnered first place in Category II – OPEN, with her selected site and building program for Murshidibad Women's Resource Center. The program challenged students, working individually or in teams, to explore a variety of design issues related to the use of steel in design and construction. Steel must be used as the primary structural material and contain at least one space that requires long-span steel structure, with special emphasis placed on innovation in steel design. Each entry earned $2,500. Their faculty advisors were Margarida Yin, ARCH, and James Guthrie, ARCE. Overall the jury selected 6 prizewinners and 10 honorable mentions out of more than 500 entries. The projects will be displayed next year at the 104th ACSA Annual Meeting in Seattle, WA and at the AIA National Convention in Philadelphia, PA.
Two new staff members have been hired to lead operations in the college’s many instructional maker-spaces. Mr. David Kempken assumed the instructional support shopmanager role on June 1, 2015. He has a Master’s degree in Spatial Arts from San Jose State University and joined the CAED with more than ten years of professional experience in the maintenance of instructional labs and shops. He has taught furniture design and construction, 3D design and sculpture. He states, “A day producing work that is as functional as it is beautiful is a day well spent.” As the support shop manager, Mr. Kempken is responsible for the operation of the college’s shops and construction sites, including the Support Shop, Digital Fabrication Lab, Simpson Strong-Tie Materials Demonstration Lab, Concrete and High-Bay Testing Lab and Poly Canyon Experimental Structures Site. In addition, he provides oversight and guidance to faculty, staff and students using these areas. Mr. Casey Benito is the newest to join the CAED Team, as the Support Shop Technician. 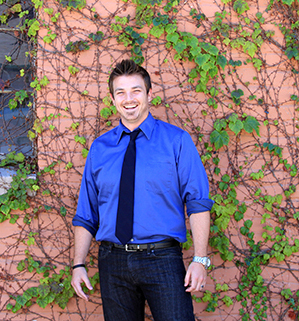 He has a Master’s degree in Architecture from the Southern California Institute of Architecture and a range of professional experience as a web designer, junior architect, and instructor. Mr. Benito will be responsible for the repair, maintenance and modification of equipment in the CAED Support Shop and other CAED instructional facilities. He will also be responsible for the design and construction of unique equipment and teaching aids, and assisting the shop manager with training and oversight of users regarding safe and proper use of Support Shop equipment. The students look forward to Mr. Benito and Mr. Kempken’s contributions to these essential hands-on learning spaces. 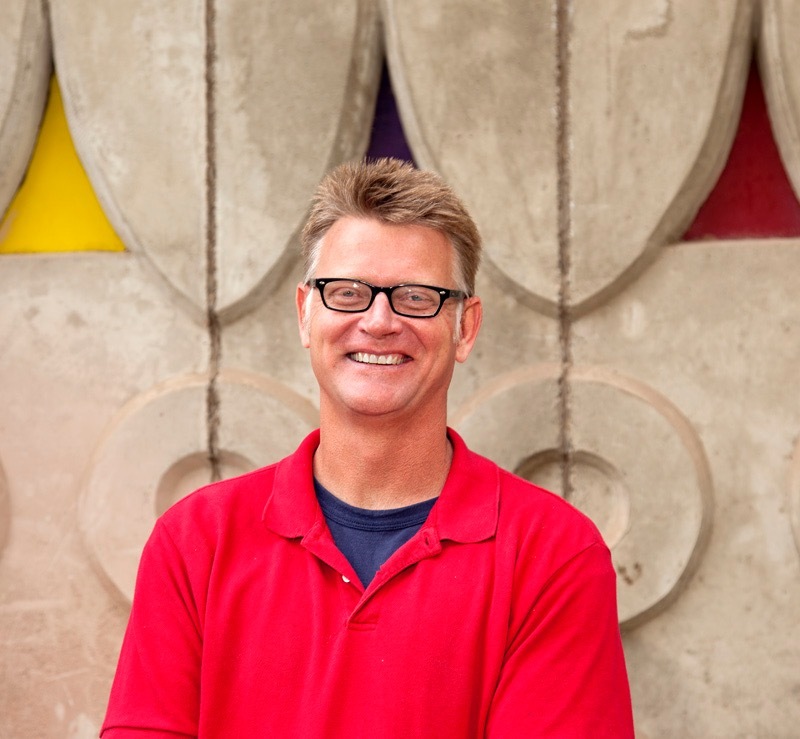 Professor of Architecture, Sandy Stannard was one of three faculty selected for the Distinguished Teaching Award for the 2014- 15 academic year. The Distinguished Teaching Award was established to recognize faculty members who demonstrate excellence in teaching at Cal Poly. Criteria include presentation of material that stimulates thinking, innovative instructional approaches and a high degree of student interaction. 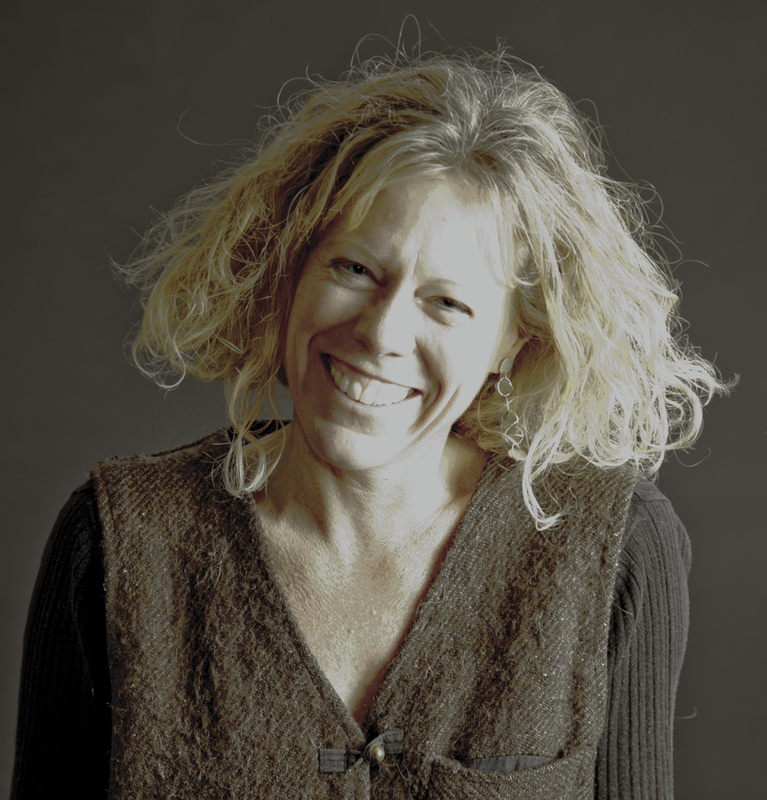 Stannard's teaching revolves around issues of ecological sensitivity; she teaches design studios, building technology coursework, and advises master's theses. "Despite living in an era of increasingly diminished resources," explains Stannard, "I hope that my students develop a passion for ecological sensitive design -design that is place-based, resource smart, and experientially delightful"
Stannard is one of the faculty advisors for Solar Cal Poly's upcoming Solar Decathlon 2015 entry; she also served as an advisor for Cal Poly's 2005 project, which received third place overall in the U.S. DOE/NREL sponsored international design/build competition. She was recently the recipient of a USGB "Green Innovation" honorable mention award for her work on an "outdoor classroom" for a local elementary school, a project intended to enhance environmental learning in an outdoor setting. Stannard studied architecture at UC Berkely (B. Arch) and University of Washington (M. Arch). She is a member of the American Solar Energy Society and served a a board member of the U.S. Green Building Council for many years. She is a licensed architect in the state of California. 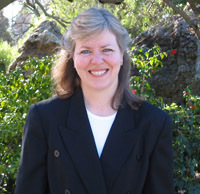 For more about Sandy Stannard, visit her Faculty page and the CSU News blog. 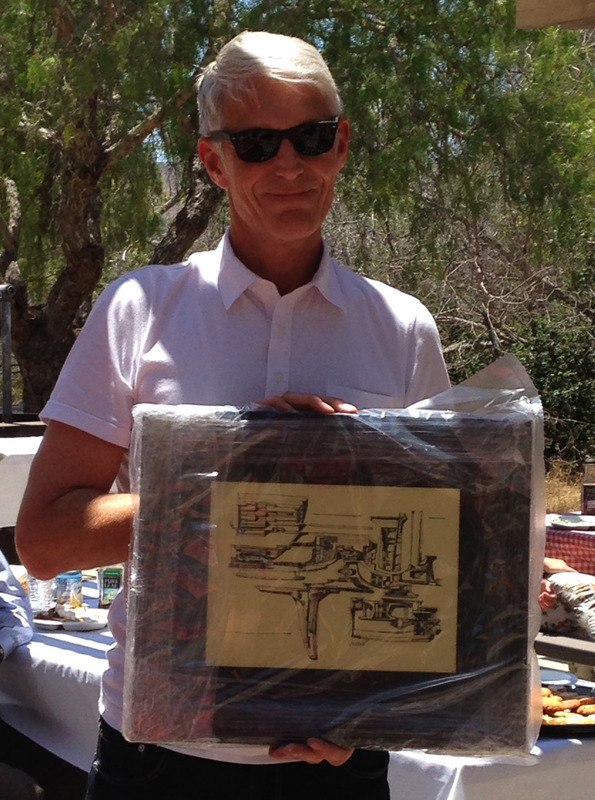 Congratulations to this year's Architecture Department Faculty Merit Award - Professor Robert Arens! Robert has a diverse background that blends architecture with landscape architecture, technology with design, and professional activity with teaching. This mix has resulted in a holistic and collaborative approach to design that balances both theoretical and practical considerations. It has also left him with an interest in new materials and methods of fabrication and their impact on architecture. Throughout Robert’s professional career his work has focused mainly on civic and cultural projects. Robert has worked with Studio Daniel Libeskind on the World Trade Center Redevelopment, the Fiero Milano Redevelopment project, and the Denver Art Museum Expansion and Museum Residences. Earlier in his career, he worked with William Kessler and Associates on the US Air Force Museum Expansion, the State of Michigan Library and Historical Center, and the Orchestra Hall Expansion. An integral component to Robert’s teaching and practice activities is applied research. He currently has grant-supported projects working with materials engineers and structural engineers to develop rapidly-deployed emergency shelters and low-impact building systems. For more about Robert Arens, visit his Faculty page. Each nominee must be employed as a full-time instructor or department head (or equivalent) for the Architecture Department during the year of nomination, and be at least in the third year of employment. 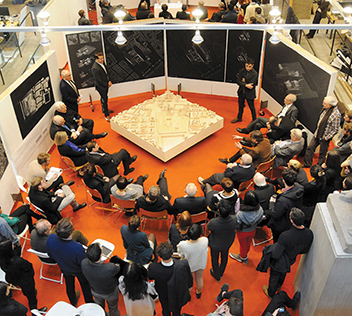 Nominations are accepted from students, faculty, and staff of the Architecture Department. A Screening and Selection Committee of judges composed of the three immediate past chairs of the Architecture Department Tenured Faculty (elected positions) receive the nominations, determine eligibility and criteria satisfaction, and select the recipient of the award. The Sustainable Environments minor program in Cal Poly’s College of Architecture & Environmental Design (CAED) received a Best Practice Award for Sustainability in Academics from the California Higher Education Sustainability Conference (CHESC). CHESC is an annual conference that highlights cutting-edge research and case studies with proven successes in curriculum development, operational programs and community partnerships. The event is jointly organized by the California state universities, and the University of California, in collaboration with independent and private colleges and California community colleges, creating the opportunity for dialogue across institutions. UCLA’s Education for Sustainable Living program was also awarded a Best Practice Award in the Sustainability in Academics category. The CAED’s Sustainable Environments program offers a cross-section of Cal Poly students an opportunity to become informed about the principles and problems of sustainable environmental design with global, regional and local perspectives and concepts – and then to attempt to implement sustainable practices locally. The program teaches students from across all majors to integrate concerns for ecology, social equity and economics in the context of human and natural resource systems and the built environment. 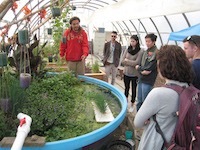 The core requirement of the Sustainable Environments minor is a two-quarter, team-taught interdisciplinary sequence of Environmental Design (EDes) courses that has served as an international model for interdisciplinary undergraduate core education in sustainability. The Sustainable Environments core courses are team-taught by an interdisciplinary group of faculty from the College of Architecture & Environmental Design. More than 1,400 students, including students from every college at Cal Poly, have graduated with the Sustainable Environments minor. In 2005 the Sustainable Environments program won the top national award for Ecological Literacy in Architectural Education from the American Institute of Architects, and in 2013 the program won a regional Green Award from the Central Coast Chapter of the U.S. Green Building Council. In 2011 Cal Poly Architecture Professor Jonathan Reich was awarded a Senior Fulbright Scholar grant to teach a version of the Sustainable Environments core courses at the University of Camerino in Ascoli Piceno Italy. Six faculty members in Cal Poly’s College of Architecture & Environmental Design (CAED) have been named 2015-16 Teacher-Scholar Award recipients. The awards, totaling $70,000, are made possible with support from the William Randolph Hearst Foundation and AVRP Studios, a San-Diego based company offering planning, architecture, and interior design services. The awards are designed to foster a culture of intellectual experimentation and curricular innovation that will provide CAED students and faculty with opportunities to further their professional development and enhance the present and future quality of the built environment. 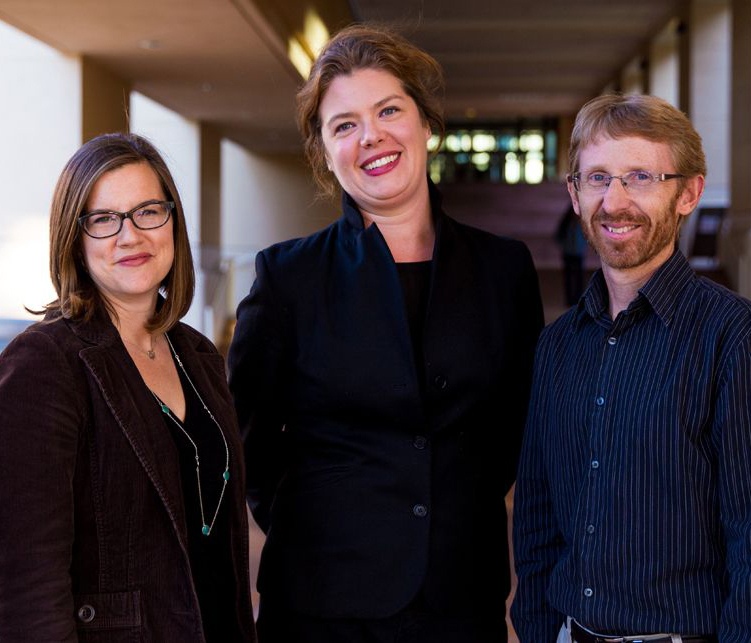 Meridith Sattler, assistant professor of architecture, Sandy Stannard, professor of architecture, and Joe Ragsdale, associate professor of landscape architecture. Ed Saliklis, professor of architectural engineering, was named the Hearst Teacher-Scholar Fellowship recipient; Mark Cabrinha, associate professor of architecture, received the Hearst Scholarship in Education award; and Dale Clifford, assistant professor of architecture, was the AVRP Studios Housing Innovation Award recipient. A jury composed of the college’s associate deans and department heads and distinguished external peers reviewed the award applications. The jury included Kate Schwennsen, FAIA, former AIA president, professor and director of the School of Architecture at Clemson University; Michael Fifield, FAIA, AICP, professor of architecture at the University of Oregon; and Bruce Danziger, SE, associate principal at Arup-Los Angeles, Cal Poly architectural engineering alumnus, and member of the CAED Dean’s Leadership Council. 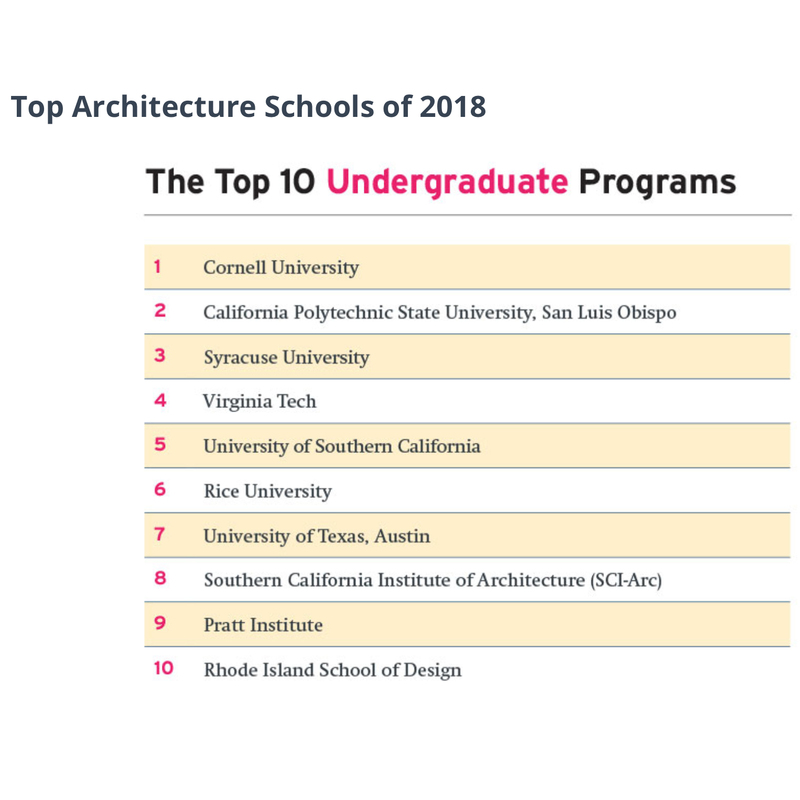 We are delighted to share that DesignIntelligence announced Cal Poly, San Luis Obispo is ranked as the #2 undergraduate architecture program in the country for 2015. Greenway received responses from 1,059 professional practices and corporations, almost double the 693 participants last year. To enrich its data, Greenway also obtained responses from 78 deans and chairs and 2,619 students regarding significant concerns facing educators and future architects. 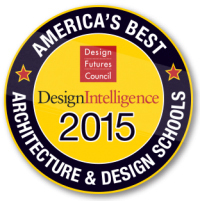 To read more about the rankings, please see the article at www.di.net/articles/americas-best-architecture-schools-2015. Cal Poly San Luis Obispo has been selected to participate in the U.S. Department of Energy Solar Decathlon 2015! The Solar Decathlon is an international competition sponsored by the U.S. Department of Energy, in which 18 teams of faculty and students design, build, and operate a solar powered residence, culminating in a showcase at Orange County Great Park in Irvine, CA in September 2015. Solar Cal Poly has an exceptional, dynamic interdisciplinary team — architecture; architectural, electrical, and mechanical engineering; construction management; landscape architecture; graphic communication; marketing; and business. This combined expertise is needed to compete in the Decathlon, which includes ten contests that range from design and performance to communication and affordability. The Solar Decathlon challenges collegiate teams to design, build, and operate solar-powered homes that are cost-effective, energy-efficient, and attractive. Having competed in the Solar Decathlon in 2005 with an award-winning project, we know that this is a transformative experience for students — truly a defining moment in their academic careers. We anticipate a similar life-changing undertaking for those participating in the 2015 project. You can help build it! Engaging in this competition represents a challenge in more ways than simply design and construction. In order to realize the project, we need to raise $650,000. We need cash and in-kind donations, as well as sponsorships to achieve the goal of creating an award-winning contemporary example of solar architecture that only a 21st century polytechnic can produce. This is the essence of Solar Cal Poly. For more information on how YOU can support this program, download the SOLAR CAL POLY Sponsorship flyer. For additional information, visit calpolysolardecathlon.org. The Sustainability Champion Award is the highest level and only individual level award given at the California Higher Education Sustainability Conference within their Best Practice Awards Program. Architecture Department Head Margot McDonald was selected for her work on the Sustainable Environments Minor, planning the 2008 UC/CSU/CCC Sustainability Conference, serving as a member of the Chancellor's Office Committee on Sustainability in Education and Research and the President's Advisory Committee at Cal Poly, and as a longstanding member of the Sustainability Conference Steering Committee. The Sustainability Champion award is given to an individual person who has been a role model to their peers around the state; has promoted sustainability throughout their campus; achieved results; and who truly embodies the term "leader". The Sustainability Champion must be nominated by someone from a different campus than their own. Please refer to the Sustainability Champion website cahigheredusustainability.org/awards/Champion.php#.VGUmZOdSyQk for more details.